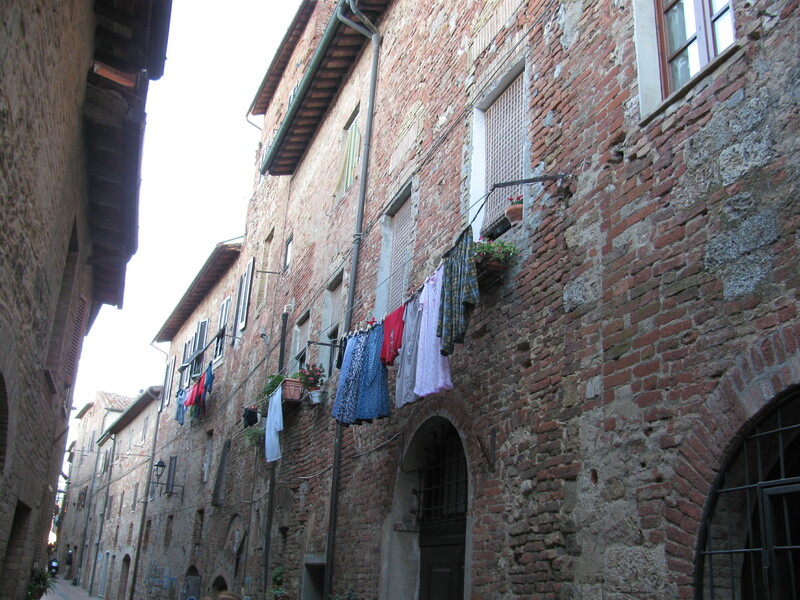 In Italy the cost of having a dryer in your home is often prohibitive. Most people do not have the benefit of this much taken for granted modern convenience and opt for line drying to save on expenses. Even though it is essentially a cost saving measure, the sight of clothes drying on a line brings me back to my childhood. 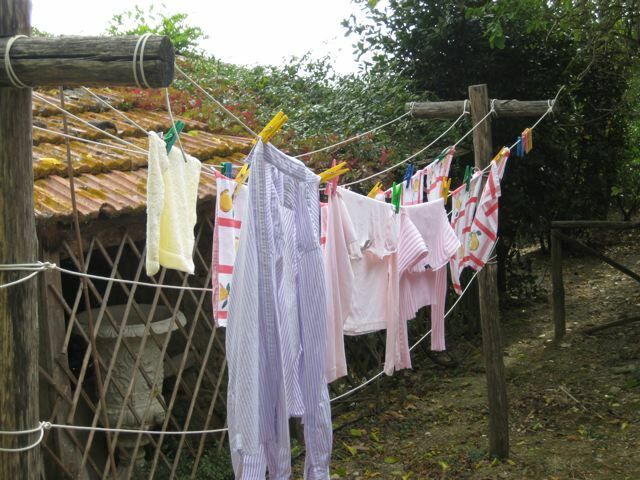 We did not have a dryer in our house and so clothes were hung on the line when it was hot or cold, sunny or cloudy. I remember many times in New York taking the clothes off the line with icicles still stuck to them. At any rate, when I see all the clothes a flutter in Italy it is like flags flying or someone flying their colors. It does make for a lovely still life. Doubtless those without a dryer might not think so. Here at home we have taken a leaf from their page and purchased a drying rack. If you were to peek into my yard on a sunny South Florida afternoon you might get a glimpse of my laundry floating in the breeze. However, no unmentionables wafting on the wind. 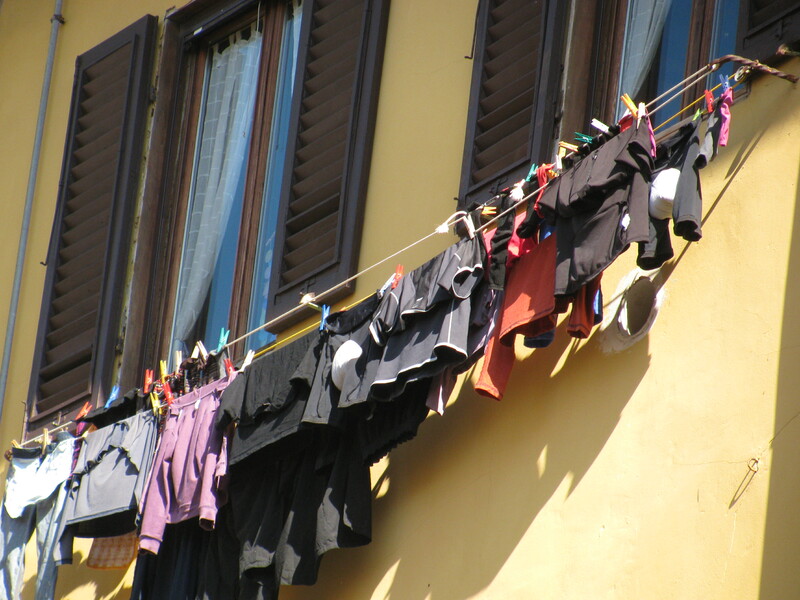 Have you ever rented a home in Italy that had a dryer and tried to use it? That in itself is a real challenge. Let me know your experiences. Coming down the stairs each morning I am anxious to turn on my computer. Should I pour myself a cup of coffee first so that anything I write has a fair chance of making sense? Should I resist the urge to just ‘peek’ to see what interesting emails I have received? Its funny, I have worked all my life since I was 16, and this is the first time I have had this feeling about anything remotely called ‘work’. My son has said, ‘My mom has always had jobs, never a career’. That is entirely true and a partial result of my upbringing and lack of direction in choosing a career. Yes, but I now feel that the fact that I have so many and varied interests makes it difficult and has made it difficult for me to settle on one path. Only one? That is too few for a life well lived and a bit miserly when I think of all the exciting choices, career paths and interesting hobbies that are out there. I prefer to view myself as a producer. A person who takes an idea, develops it and puts it into action. Now, not all of them have been successful, but I have certainly benefited along the way from all my various choices. But blogging seems to speak to me and in turn I hope it speaks to you through my voice. I am grateful that you have chosen to follow my escapades in Europe, my stream of consciousness ramblings and my hopes and dreams. Today is the anniversary of my mother’s passing. She passed away just prior to the millenium from alzheimer’s and parkinson’s disease. One of the last things she was able to enjoy was the sight and sound of the birds. This brought her pleasure till near the end. 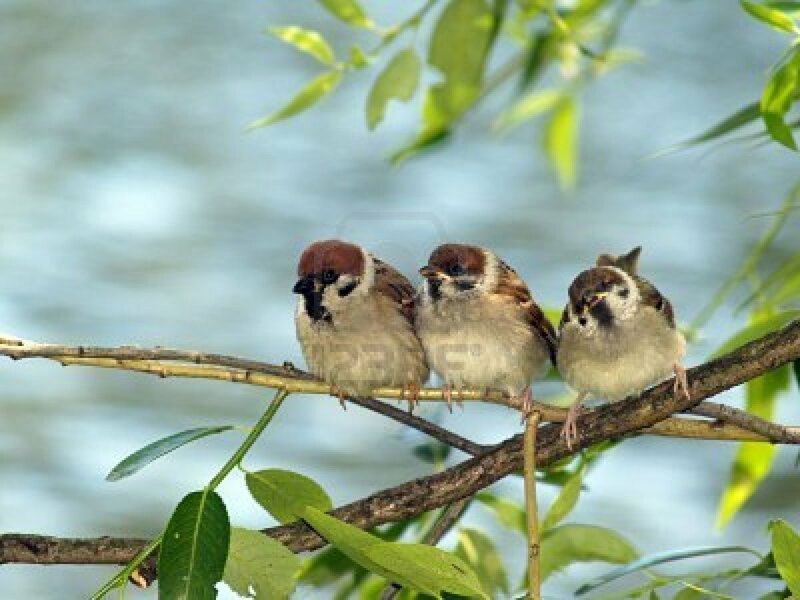 This morning I was awakened by the sounds of the birds. Ti amo mamma. My husband had always been intriqued with the romance of harvesting olives in Italy. So when Rosemary’s neighbor said his olives were ready for the picking, we jumped at the chance. Michele and his wife Pia are 88 and 84, respectively, and have been picking olives for the major part of their lives. Each year they say, ‘this is the last year we will harvest’, but as another year rolls around there they are, ladders poised against the trees harvesting with the aid of family members, or anyone else (like ourselves) who steps up to volunteer. I was so green (no pun intended) that I did not even know the olive that you pick off the tree is not suitable eating. It is so bitter that you instinctively spit it out, ‘oh, those charming Americans’. Michele, and two of his willing helpers, my husband Arturo and Rosamaria. After the olives are harvested an appointment is made with the mill and the olives are transported to the frantoio to be pressed. From 50 young trees, 25 or so liters can be had to supply a family with the greenest, freshest organic olive oil one has ever tasted. If you are not fortunate enough to be able to harvest your own olives in Italy you can visit Fattoria Fubbiano in San Gennaro to buy their products at their farm shop or to enjoy a complete wine and oil tour from the ancient villa of the XVII century. Pass by their vineyard, learn about the oil and wine making process, visit the cellar and end with a pleasant wine and oil tasting. They will be happy to introduce you to their farm life, showing you the care and passion that goes into their daily work to achieve the best results with extra virgin olive oil. Delightfully my friend, Rosemary, had arranged for an Italian lesson class on my first morning. I was a bit concerned how my jet lagged mind would react to such a quick and total immersion into the language. 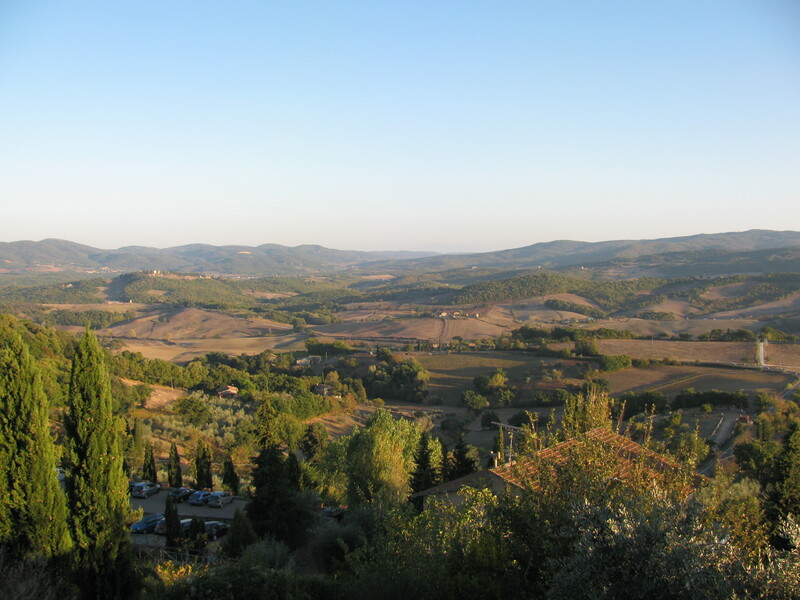 Allora, we bundled off in the early morning hour, driving the winding roads to the neighboring town of San Gennaro. Before I could say buon giorno, I was seated at the large table in the home of Professoressa Anna conversing with a handful of expat’s who had fallen in love with la bella lingua and the Italian life style. This was indeed a great beginning. 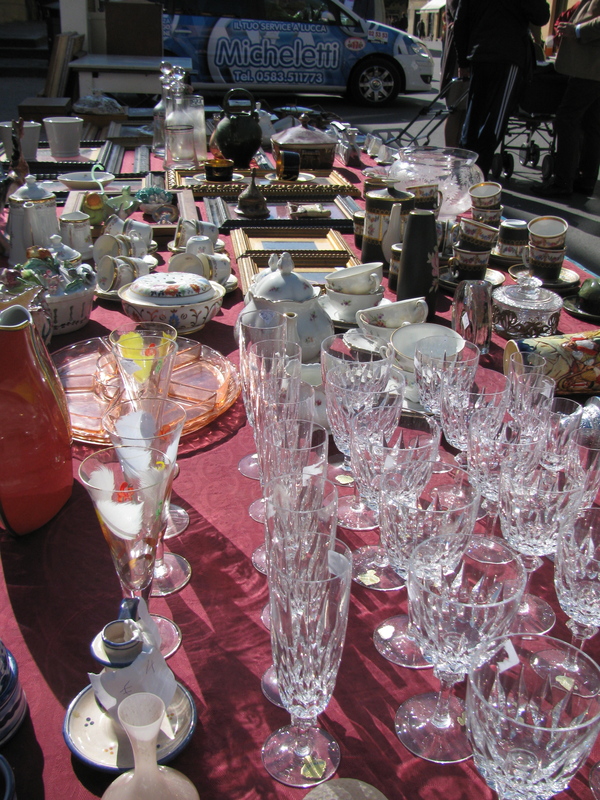 Next, down to what it was all about, the antiques market in Lucca. Every third weekend within the historic walls of Lucca hundreds of exhibitors from Italy gather to display and sell their wares. The mercatino takes place amidst an old world of squares, alleys and piazzas punctuated by crowds of strolling pedestrians hoping to discover a treasure or two. And yes, on this bright, sunny autumn afternoon, I found myself among them. This was part of my plan, to unearth and bring home bits and pieces of cultural history to repurpose. Allora, it was not as easy as I had thought. A turn down a small street led us to discover the Carta d’Epoca. Housed in the Piazza dei Servi, this exhibition in its fourth year gives visitors an occasion to admire antique books and papers rarely seen outside museums. There couldn’t be a better place to hold an exhibition dedicated to antique printing than in the city of paper. The Lucca Paper District today houses 140 paper mills and employs over 6,000 people, providing the bulk of the country’s tissue paper and a large proportion of its cardboard, yet the city also has a long and illustrious history of paper-making, stretching back to at least 1400. So a lucky accident brought me to my first find, a windfall of correspondence written in Italian with the most beautiful cursive handwriting. It dates between 1918 and 1919 and follows the lives of members of the Goti family who were located in Livorno. Lovely post marks, interesting sizes and clues to the history of the Goti family. Although I had told my friend, Rosemary, that she did not need to meet us at the airport in Pisa, she insisted that it was a good idea as we would be tired after the long trip. Grazie Dio, our brains could barely function as we picked up our rental car at the tiny airport that looked more like a train station than an international place for arrivals and departures. 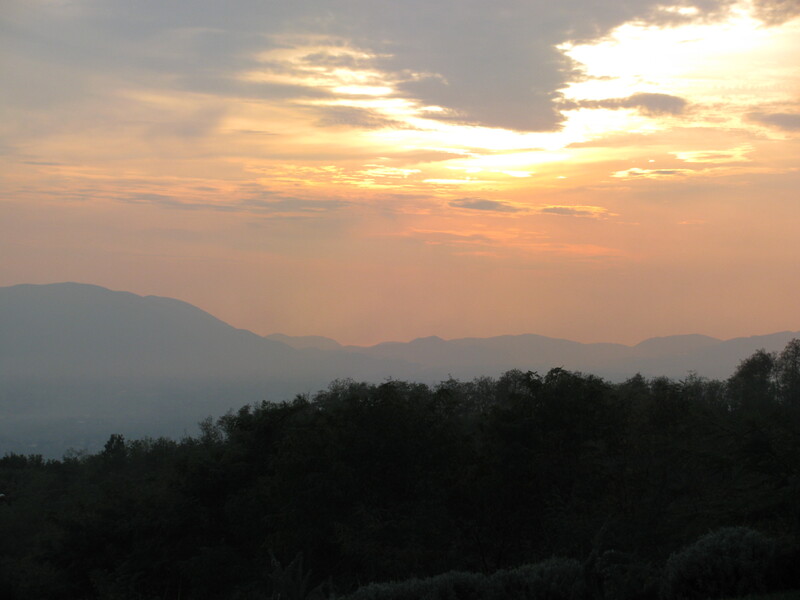 We wound our way in our jet lagged state behind Rosemary’s small Fiat up into the hills of Lucca to the home she and her husband had built around the smallfootprint of a barn. We were rewarded with not only their warm hospitality and wonderfully designed house, but a great view that stretched all the way to the Mediterranean Sea. I had not been on an Air France flight in over 40 years since my first trip to Europe in 1968. The only other flight I had been on prior to that was a ‘prop’ plane destined for Michigan to perform as a baton twirler with our high school band for a half time show at the University. This flight was quite another matter that involved traversing the Atlantic Ocean, some turbulent air, and a queasy stomach that necessitated the flight attendants ushering me to the front of the cabin where they administered a spoonful of creme de menthe poured over a cube of sugar. Can you imagine that happening today? I am happy to report that the current flight, on the upper deck of a 747-400 was a much smoother affair, and that the flight crew was just as lovely and accommodating (no sugar cube required). Only two more days before the adventure. I have not been away from home for this amount of time (3 weeks +) since I was eighteen years old and just experiencing my first trip to Europe. I remember missing my parents, but I remember being completely changed by the experience. The trip was in connection with Nancy Taylor Secretarial School. Back in 1967 if you did not go to college, secretarial school was the natural option (outside of marriage). My father, although a very intelligent man who graduated two years ahead of his class, was obliged to work in the family grocery store instead of pursuing a college degree. College was NOT part of his DNA and NOT an idea that he passed on to his children. During a visit with my Mom to the school, I noticed a flyer announcing a study trip to Europe. That clinched it. I knew this was the school for me; and that I would travel for the first time to Europe. When spring came I withdrew all the money that I had earned babysitting, save $5.00 to keep the account open. I had no friends that were participating in the trip, but this did not deter my wanderlust or desire to explore the world outside my hometown of Pelham, New York. The journey was indeed life altering as it opened my mind to other cultures, and ways of living that have become part of my collective consciousness to this day. When did you make your first foray to the continent? La Dolce Villa is an homage to a way of life. One where there is time to savour the rhythms of living by the seasons, and time to capture the details of a culture and a community. La Dolce Villa can be a physical place as well as a metaphor for the simple life. For me, it exists in my home in Coral Gables as well as in Italy. My desire is to live ‘La Dolce Villa’ surrounding myself with objects that add beauty and texture to life: family, good friends, aesthetic decor, good food and loved ones to share with. I am traveling to Italy for what I anticipate will be a journey of discovery to seek out vintage objects to re fabricate, retool or reuse for the purpose of enhancing La Dolce Villa. Let’s see what happens. Ci vediamo. I live in a historic home in Coral Gables, Florida, a mediterranean themed city founded by George Merrick that has influenced my love of history, travel and collecting. I am passionate about cooking, re-fabricating antiques and found objects that please my aesthetics, add to my joy and contribute to La Dolce Villa. My life is blessed with my husband of thirty-five years, our two children and their spouses.